Annabel is rated as one of the top females in technology in Africa, and is the xTech.Institute Dean of AI, Automation and Algorithms. 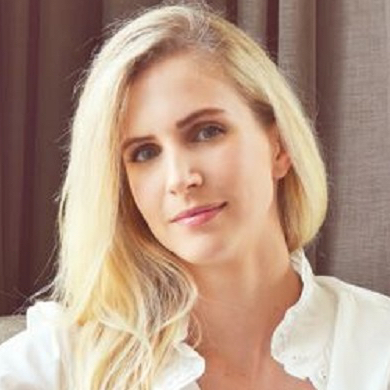 Annabel is the CEO and Founder of Strider Technology (stridertech.co.za) which has launched a machine learning computervision engine called Glance. Glance leverages the process of human-assisted machine learning to help corporates rapidly automate their processes and leverage their data more efficiently. Strider has pioneered a process for rapid system development and validation allowing the team to solve big problems in very short time frames using intelligent technology. Annabel co-founded Dash with 4 business partners (dashdigital.io) which aims to accelerate the rapid system development processes traditional technology companies employ. Although Annabel is a mechanical engineer by training, she decided to move into the exponential technology space when she realised a passion for building systems that educate people and create impactful solutions that serve our society. She most recently founded Brave, a business that has created a world- first mechanism for providing healthcare cover for financially excluded and undocumented individuals throughout Africa.